Network Rail is seeking to demolish the Victorian station building at Avonmouth. Most of the original station has long since been demolished and this former booking office is the last part still standing. Until recently it has been used as a hairdressers and Network Rail argues that it has no commercial or other value. Friends of Suburban Bristol Railways and others are organising a press event at Avonmouth station to publicise the proposed demolition. The event will be at Avonmouth Station on Friday 16 January 2015 at 10am. Charlotte Leslie MP, together with Coucillors Matt Melias and Wayne Harvey, have set up an online petition to save the building which must be signed by 31st January. To sign the petition, go to http://avonmouthstation.bristolpetitions.com/ and follow the easy instructions. Bristol Civic Society appreciates the concerns raised about the economic viability of repairing this building. It is, however, an interesting architectural feature of the station. 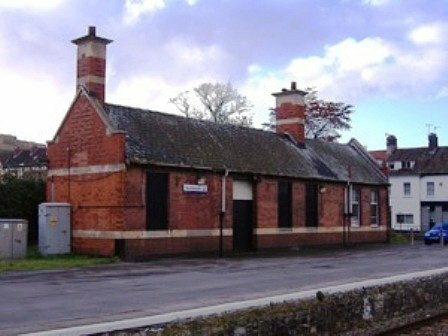 Bearing this in mind and also the active consideration being given to increased passenger services on the line, the Society urges that all options for saving the building are exhausted before its demolition is undertaken. However, the Council agreed Prior Approval for the demolition almost immediately. I don’t think there’s much that can be done through the planning process which just leaves public protest and finding funding for an alternative approach.